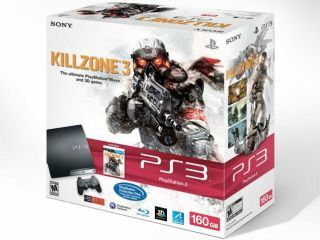 If you are still in the market for a Sony PlayStation 3, then you might be interested to learn that Sony is shipping these new Killzone 3 PS3 bundles to retailers in time for the game's launch on 25 February. Sony is still to officially announce the bundles, but the fact that retailers have leaked images online has pretty much confirmed their existence. Amazon France is listing the 320GB PS3 Killzone 3 bundle already, priced 348 Euros (£292). A US version of the bundle, listed on Amazon US, also offers a 160GB PS3 bundle, priced at $299 (£185). TechRadar has contacted SCEE for further details on UK pricing and availability of the latest PS3 bundles set to arrive in stores later this very month.